My Great Aunt Faye spent most of her life as a maid. She was as efficient + and no-nonsense as they come. She knew her stuff...and managed to teach “Miss Ann” a thing or two about style + class + decorum. Faye didn’t take a *smidge* of guff from anybody and in the end her employers always ended up calling HER ma’am. Every Christmas she would dazzle party guests with her Champagne Pears...stuffed with brown sugar, butter, golden raisins, nuts, and spices...baked to perfection in a bath of spiced champagne + served with homemade vanilla ice cream drizzled with the gooey pan drippings. I spent Cyber Monday (avoiding shopping) by looking for random champagne facts to share with you. 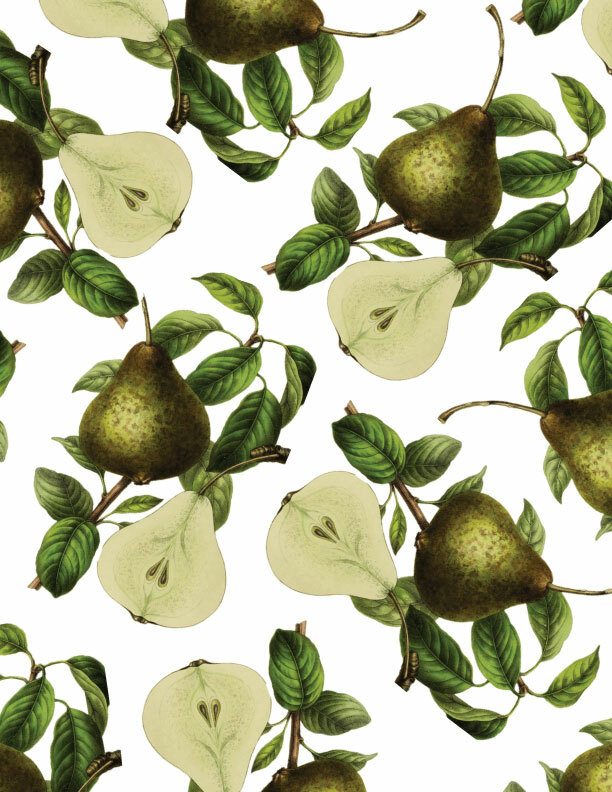 Lo, and behold, I came across this vintage inspired pear gift wrap by Poppytalk + I just had to smile when Aunt Faye crossed my mind. I put the link right here so you can download the pdf + chuckle to yourself about the maid with the golden gun while you wrap gifts this year.